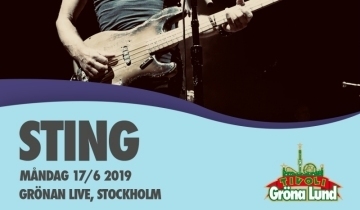 Cherrytree Management and Live Nation and FBI.lv have confirmed that Sting: My Songs will tour Europe next summer with very special festival and concert appearances scheduled including a return appearance in Arēna Rīga on June 10. 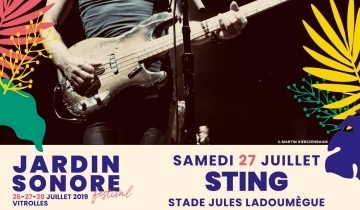 Additionally, Cherrytree Management and Live Nation have confirmed that Sting: My Songs will include a return appearance at Saku Arena in Tallinn on June 12. Composor, author, singer-songwriter, actor and activist. As a member of The Police and as a solo artist, this iconic musician has sold over 100 million albums worldwide. 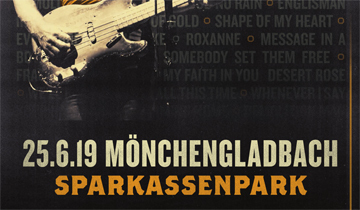 Next summer, he is heading out on a European tour called ”Sting: My Songs”, with only one stop in Sweden. On June 17 he will perform on the Main Stage of Gröna Lund for the first time. 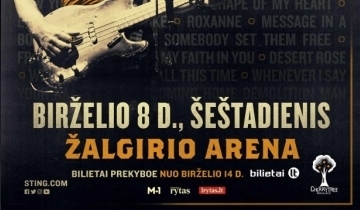 Cherrytree Management and Live Nation Lithuania have confirmed that Sting: My Songs will tour Europe next summer with very special festival and concert appearances scheduled including a return appearance at Zalgirio Arena in Kaunas on June 8. Additional tour dates to soon be announced. 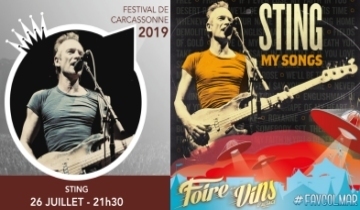 Cherrytree Management and Live Nation have confirmed that Sting: My Songs will tour Europe next summer with very special festival and concert appearances scheduled including performances at Festival De La Cite in Carcassonne on 26 July and at Foire aux Vins d'Alsace in Colmar on 1 August, with additional dates to soon be announced. 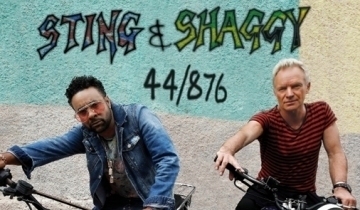 Congratulations to Sting & Shaggy on their Grammy nomination for Best Reggae Album!